CJPP is pleased to present Israeli journalist and writer and 2017 Edward Said Lecturer, Gideon Levy in Sydney on Wednesday November 29. CJPP is co hosting this event with Sydney Ideas and the Department of Arabic Language and Cultures at the University of Sydney. Gideon Levy is in Australia to deliver the 2017 *Edward Said Lecture and to participate in the Symposium ‘Palestine and the West’ – details below. Levy is an internationally respected Israeli journalist, writing opinion pieces and a weekly column for the newspaper Haaretz which often focus on the Israeli occupation of the Palestinian territories. 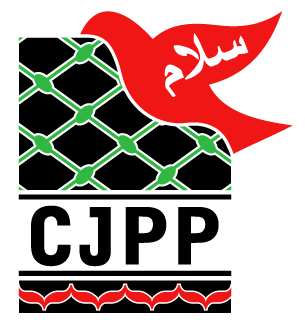 In this the 50th year since the 1967 Occupation of the West Bank and East Jerusalem, CJPP welcomes Gideon Levy as one of the most trenchant critics of successive Israeli government polices in relation to Palestine and Palestinian rights and freedoms. This event will include a response from Antony Loewenstein, an independent journalist and author of My Israel Question, The Blogging Revolution and Disaster Capitalism: Making A Killing Out Of Catastrophe. Don’t miss this one off Sydney event with Gideon Levy in this his first visit to Sydney – make your reservation here now. Levy was born in 1953 in Tel Aviv. In 1974, Levy was drafted into the IDF, where he served as a reporter for Israel Army Radio. From 1978 to 1982 he worked as an aide to Shimon Peres, then leader of the Israeli Labor Party. In 1982, he began to write for the Israeli daily Haaretz. In 2004, Levy published a compilation of articles entitled Twilight Zone – Life and Death under the Israeli Occupation(2004). 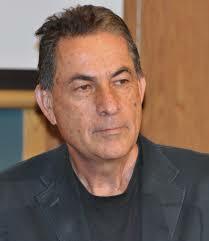 His weekly talk show, A Personal meeting with Gideon Levy, was broadcast on Israeli cable TV. Levy defines himself as a “patriotic Israeli”. He criticises what he sees as Israeli society’s moral blindness to the effects of its acts of war and occupation. He has referred to the construction of settlements on private Palestinian land as “the most criminal enterprise in [Israel’s] history”. *Gideon Levy is in Australia to give the 2017 Edward Said Memorial lecture at the University of Adelaide and to participate in the Symposium on Palestine and the West – Nov 24-26.